Nowadays, we all take great pains to maintain our health. We exercise, we (try) to eat right, we take the time to de-stress, and so on. And whilst these activities contribute greatly to our overall health, the simple fact is that most of the time, we do not really like doing them. Take exercise, for instance. Of course, there are those who simply love to exercise. But not all of us consider exercise a pleasant activity. Eating right is another activity that most of us do not like doing, but we know that it’s better for our overall health as well. 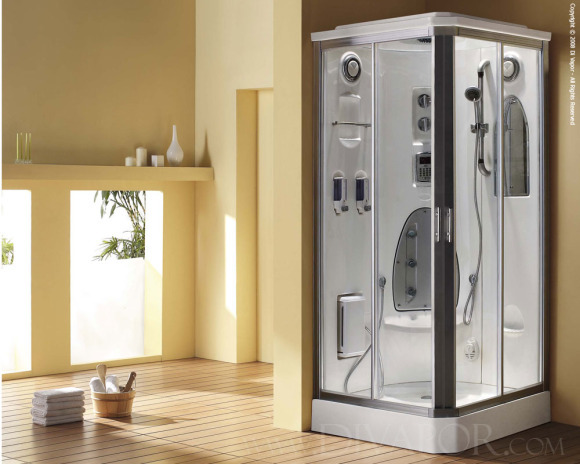 When you take regular steam showers, your circulation will automatically improve. This is due to the process of vasodilatation, where your blood vessels widen from exposure to the steam in a steam shower. And since your blood vessels expand, your blood flow intensifies and increases as well. The end result of vasodilatation is better blood pressure, which gives your health a great boost. One of the major benefits of steam showers that we all know about is the elimination of stress. The feeling of stepping into a steam shower at the end of a long day is something that we can definitely look forward to. Because of the heat in the steam shower, your muscles become more relaxed and your tension is reduced. If you would like to have a wonderful sleep, take a steam shower an hour or two before bedtime and you are guaranteed to sleep like a baby. It’s true that when we spend even just an hour or two on intense physical activity, we feel tired and sore. Our muscles build up metabolic excess when we exercise, and this excess metabolism can leave us with fatigue and soreness. To help you recover from intense physical activity, you can combine a cold shower with a steam shower, which helps rid your body of this metabolic excess. When you alternate the coldness of a regular shower with the heat from a steam shower (especially the advanced steam showers available from www.jtspas.co.uk), your capillaries begin to pump and your excess metabolism is flushed out. For best results, alternate a minute of steam with a minute of cold water. Steam is not only good for your inner circulation – did you know that the steam in steam showers is great for skin care as well? This is because the steam naturally opens up your pores, resulting in skin cleansing. In a steam shower, you can sweat freely, and this rids your body of toxins and waste. In fact, a regular steam shower has been known to produce better skin in many individuals, reduce skin blemishes like blackheads and pimples, and give your skin a more youthful, supple glow. 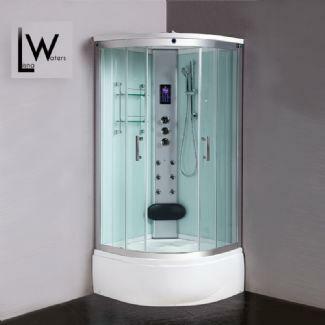 Steam showers nowadays come in all shapes and sizes and are loaded with great features to boot, such as the ones available from steam shower suppliers like www.jtspas.co.uk. If you want to improve your overall health without too much effort (and de-stress yourself at the same time), then a steam shower is a wonderful investment indeed.